The Ivy Cottage Bed Step Stool by The Beautiful bed Company is charmingly crafted of solid wood. 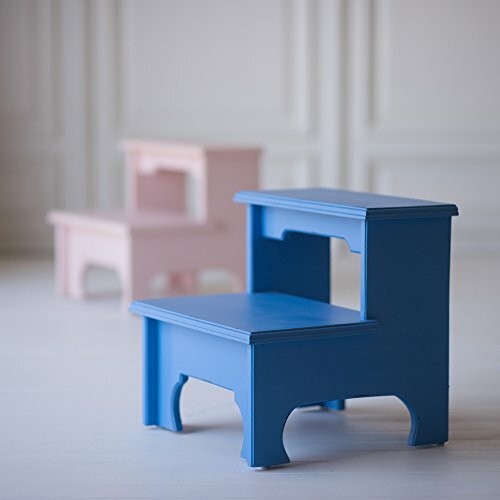 This step stool is perfect for next to a bed, in the kids bathroom, or anywhere you or your little ones might need a couple of extra inches in height. Made in USA. This piece is custom built to order, by our talented artisans, using time honored carpentry techniques. The variations in the wood are seen as the character of the piece and are not defects in any way. The core frame and construction should defy the laws of aging and are therefore warranted to be free of defects due to faulty materials or workmanship for the lifetime of the original owner under normal care and use. If you have any questions about this product by The Beautiful Bed Company, contact us by completing and submitting the form below. If you are looking for a specif part number, please include it with your message.